Black masculinity on screen is having a moment. With more than two months left in 2016, we have two of the most inspired black male lead characters we've seen on screen in far too long--and they couldn't be any more different from each other. 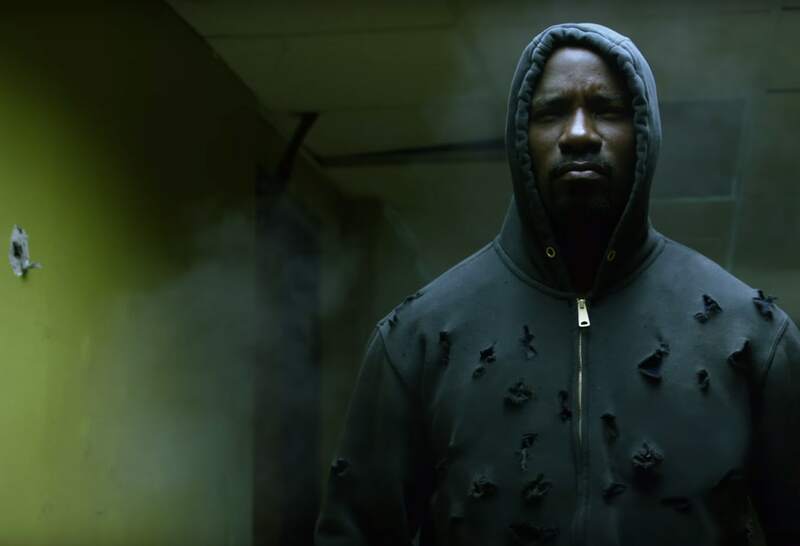 Perhaps you've heard of a little Netflix series called MARVEL'S LUKE CAGE? The transfixing narrative presents a black male superhero impervious to bullets and all other weapons in the era of #BlackLivesMatter. Mike Colter portrays the titular character, a commanding three-dimensional superhero whose complexities surpass not only those of other superheroes saturating the screen these days, but also non-comic book characters whose humanity can just as easily be an afterthought. Though his undeniable good looks are indeed part of his appeal, the fact that he also represents a compassionate, heroic, Walter Mosely aficionado, an unapologetically black man who isn't dependent on the white impression is reminiscent of the great John Shaft. He is unlike every other superhero you've seen on screen. And not just because he's black. And later this month, writer/director Barry Jenkins (Medicine for Melancholy) presents another look MOONLIGHT (which debuted at the New York Film Festival this month), a tender coming-of-age drama that tells the story of Chiron, a young black man growing up in Miami, grappling with self-identity as he's forced to find his own way with a drug addict mother (a woefully miscast Naomi Harris) and no real friends. Chiron's story unfolds through three distinct stages of his life--as a child, a teenager, and later a man in his mid-twenties--and in doing so allows the audience to experience his pain, longing, and loneliness along with him. This visceral connection is a precious one, since black male narratives are rarely allowed to have such emotion. Audiences are conditioned to expect the strong black male trope (which is just as limiting as the "strong black woman" trope) with a flimsy backstory. With this rarity, the black male character is given the allegiance to be vulnerable and introspective, and not reliant on romantic relationships with women as his sole narrative value. 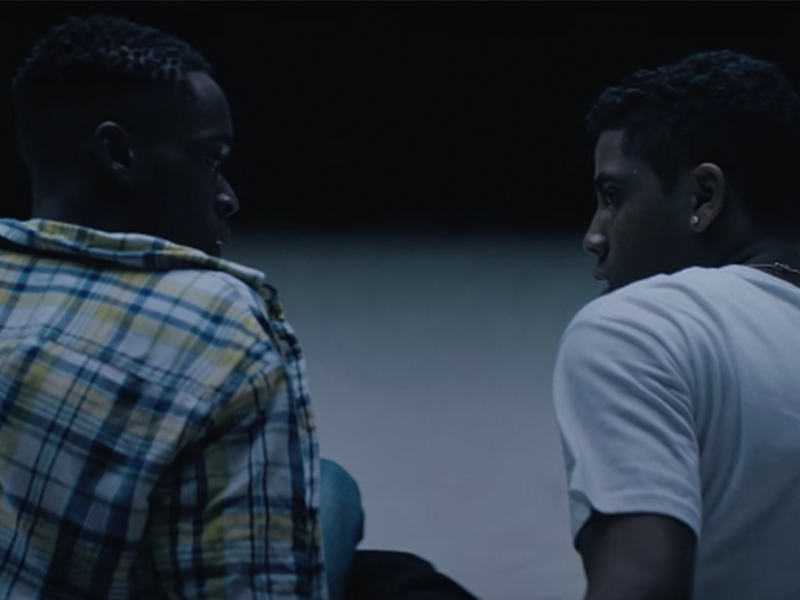 In fact, Chiron's story--portrayed first by Alex R. Hibbert, then Ashton Sanders, and later Trevante Rhodes-- is solely his own, despite his search for definition, for belonging throughout the film. 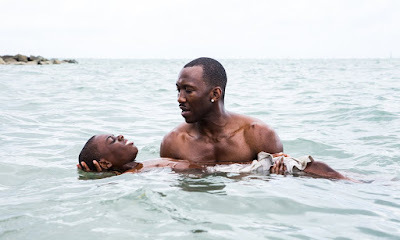 He's a drifter, waiting for life to tell him what to do, for people like Juan (exquisitely played by Mahershala Ali), someone who takes him in as a young child, and Kevin (Jharrel Jerome), with whom he has the most intimate connection, to give him some direction. Though Chiron speaks very little, the actors' quiet portrayals depicted primarily through their eyes here is more poignant than dialogue. Through each of their performances, and the rich narrative, Jenkins delivers an authentic, necessary statement of black male self-love. With the success of these two narratives should come more discussion surrounding what we as audience members should expect and continue to demand from Hollywood: fully realized, diverse stories representing the black male experience across all genres. Let's go. MOONLIGHT is in theaters October 21, and MARVEL'S LUKE CAGE is now streaming on Netflix.